Some of the most effective improvements can come from freshening up areas where maintenance has been deferred. Painting curbs and islands, repairing potholes, replacing light ballasts, re-installing wheel stops or bollards, replacing or hanging new signs and repainting stenciled areas or parking space lines can have dramatic impact. 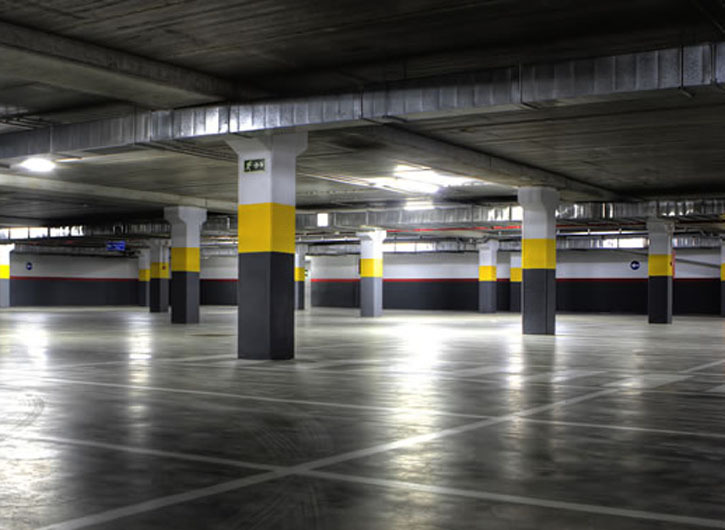 We collaborate with parking operations and property management to minimize disruption to normal daily operations. PF Parking Signs, our in-house production sign shop, can quickly produce new, replacement, or specialty signs for properties at competitive prices. In many situations, we can arrange a “wing- to-wing” wayfinding solution – ranging from collaboration on design proofs to production to delivery and installation. Surface sweeping/vacuuming removes large debris and litter, while deep sweeping collects fine grain dirt and other material from a surface area. Protecting the environment and conserving valuable natural resources is our main objective. We offer clients general sweeping and deep cleaning services to remove large debris and litter and to collect fine grain dirt, sand, dust, pebbles and other materials from their properties. Our team uses equipment that power scrubs surfaces with water and detergent to restore painted areas to original conditions and to control soil load on parking surfaces.